The Wellness Warrior results are blowing me away! Average weight loss of those who followed my recommendations and wanted to lose weight was 12 pounds! As you all know, I care about much more than weight! Participants also reported AWESOME IMPROVEMENTS in digestion, skin, joint pain, energy, sleep, mood, and heartburn, improved blood sugar regulation via glucometer and Hemoglobin A1C lab markers, brain fog, and more. Keep reading to hear what the Wellness Warriors have to say. 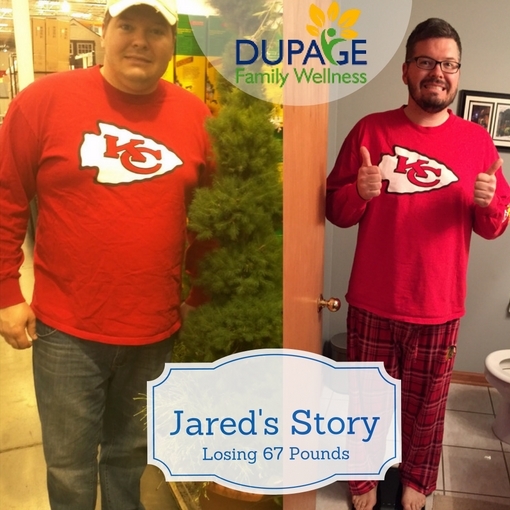 Photo: See the difference 7 weeks of Wellness Warriors makes! "I have more energy and have lost weight (my clothes fit me better). I was 175# when I started seven weeks ago and this morning I am 162.2#!!! I will never go back to eating the way I did before. My skin is less dry. I have arthritis in my feet and spine and I had a total knee replacement 2 years ago and everything has been feeling good since being on this wellness program! This has been the most important thing I have ever done for MYSELF! This new way of eating real and whole foods is amazing. The daily education via email was so beneficial. The information was so eye-opening! (My doctor would say, that at my age my metabolism has slowed way down and I just have cut my portions down and calories. and the GI doctor said to just take Miralax for the rest of your life. He said that there is nothing wrong with that and the ortho doctor said we can give you cortisone injections for pain.) Having that daily communication, really helped to keep me on track. I felt that I wasn't doing this on my own, as I have 6 adults in my home, that were not following this plan and sometimes that was difficult, but no more, because I have been eating well for so long now, it's just part of me and I WILL NOT GO BACK!!! Dr. Jamie was always there to answer my many, many questions. I will be continuing on this journey for the rest of my life! Hi Dr. Jamie! I want you to know how awesome this has been for my daughter and I....and other members of our family are benefiting too, even though they weren't committed like the two of us. I truly feel like my life is more under control. I sleep better, wake up more quickly and feeling refreshed. My skin has improved and I have noticed significant reduced puffiness in my face and other areas of my body. I wasn't doing this for weight loss but I did lose about 10 pounds! My athletic performance and stamina have improved. I feel so much more in control and equipped with new tools to move forward and make these changes more permanent in my life. I am even enjoying my veggie salads! Foods taste good to me and my cravings have reduced significantly. I am still battling them, but over all I feel so much better. Thank you for sharing your expertise at a price that is unheard of. My Daughter has benefited too, and she is sticking with it!- E.C. I Realized My Feet Hurt Because I Was Not Eating Right! "I love this Program and don't look at it like a diet. It's more of a health plan. In the past month not only are my clothes getting looser but my foot pain is gone! I have spent a lot of money on special shoes, inserts, and orthotics as I thought I had plantar fasciitis. When in reality I had inflammation from my poor eating habits. I no longer have foot pain after just 1 month! I also have more energy! I am also more in tune to what my body likes and dislikes. I can easily tell what I should stay away from! Have I mentioned the savings in our grocery bill from not buying processed foods!? I can't wait to continue on this 'health plan' and see what other positive changes are to come! "- L.M. Learned New Things After Years of Dieting! I feel much better and have less adverse GI effects from foods. I was very impressed with the educational content. I learned much more about why foods are important like fats.- N. M.
It has been great!! Love waiting to get the daily email to see what the next discussion is. Easy to follow instructions along with personal support. Love the program. Dr. Jamie's wellness program is a great way to get you started on a healthy eating program. Great recipes, guidance and support. It's truly amazing how great you feel when you start making healthy choices.- P.H. Lost 20 Lbs without Trying! 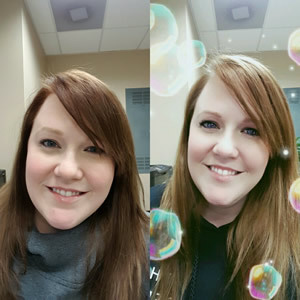 I am feeling better overall, clearer skin and almost 20# of weight loss (without trying). Whilst I struggled in the start to find foods to eat (I have always been a picky eater - if it did not look right I would avoid it) making me very hangry. I was surprised and excited about the changes I saw with my body - weight loss with no extra exercise, clearer skin, less bloating. Did you know that a pepper is a really good snack as opposed to a bag of chips? So little changes will continue to help me maintain my positive changes. A special thanks for Dr. Jamie and Joelle for putting on this course and for being available for questions!-C.D. I lost about 15LBS and 4 inches in my waist.- L.A.
My main goal of the program was weight loss. Last year I trained and ran the Chicago marathon. By the way I did finish. During the training I did not lose any weight and am a large runner at over 250lbs. A running injury has sidelined me for the last 3 months and I was concerned about gaining weight. With this program, and not running, I have lost 15lbs in the 6 weeks. This is something running long distance was unable to accomplish. I feel great and because of this program I believe the weight will continue to come off allowing me to return to running. Thanks Dr. Jamie - L.A. Both my wife and I plus a couple of family members have done this wellness class. Speaking for myself, I read the materials and it made so much sense to follow the program as it was laid out. It was a little rough giving up a few foods I really enjoyed but we found so many substitutes that we never realized were this delicious when prepared by us. Many of the recipes and suggestions we saw online were filling and made 2 meals in some instances. I feel much more energetic and seem to sleep better. If you stick to this program you will NOT be disappointed. It is well worth the commitment and you learn so much about your body and habits. - J.S. "The Wellness Warrior program is packed with very helpful and instructive information. I have truly learned so much from Dr. Jamie and her nutritional videos and handouts. Detoxing from sugar and grains/breads has proven to be a positive step in my overall health. It's not a diet, it's a new way of eating. I"m trying new recipes and approaching food in a different way. This program is a great "reboot" to a new, healthier lifestyle! "- S.L. "Healthy eating is a choice. Dr. Jamie provides support and guidance about the decision-making process related to health and nutrition. The Wellness Warrior program was easy to start and the noticeable changes with looser fitting clothes motivated continuation of my healthy eating choices! The online program provided the accessibility and flexibility I needed with scheduling. Dr. Jamie shared meaningful videos along the way to expand our knowledge about eating right. We truly are what we eat! Thank you! "- K.B. Our Lives Our Changed for the Better!